They are found in wet meadows often in large masses crowding out native plants and in fields, shores and roadsides. They are not native to the U.S. but were brought over from Europe. 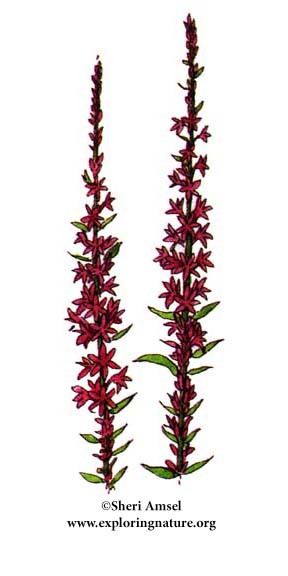 The purple-pink, wrinkled-petal flowers are on tall, spike stems. They have whorls of 2 - 3" long, thin leaves below. They bloom June through September.